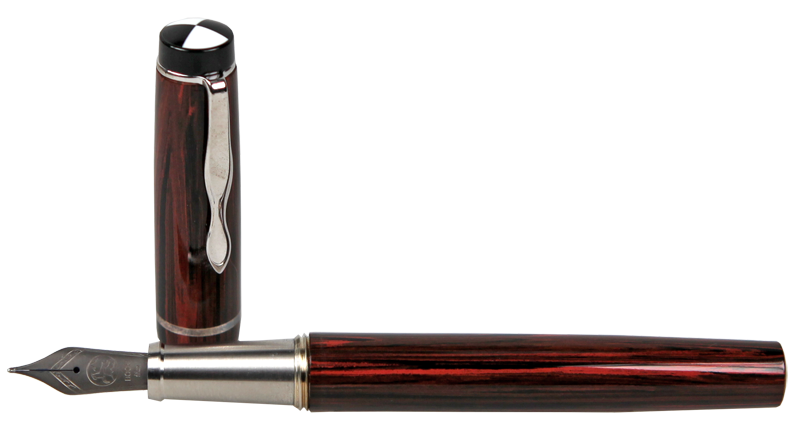 The first cartridge filler of Astoria, any normal cartridge should fit to this pen. 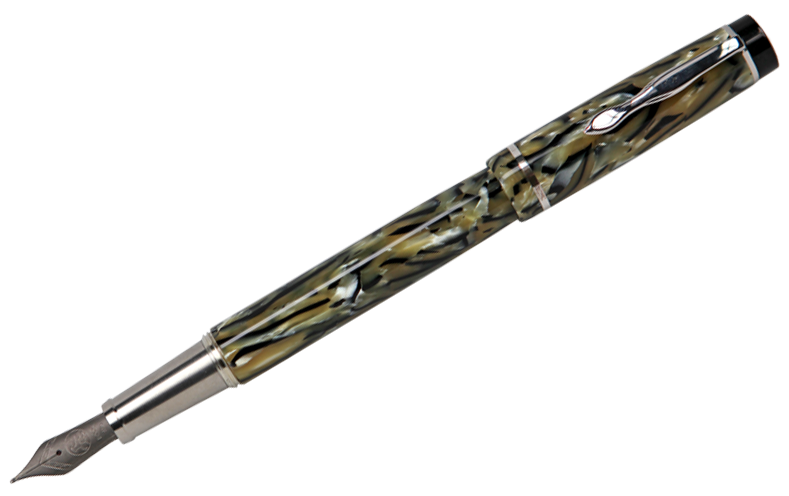 The nib is made from titanium by BOCK Heidelberg and modified by Astoria for a smooth writing. 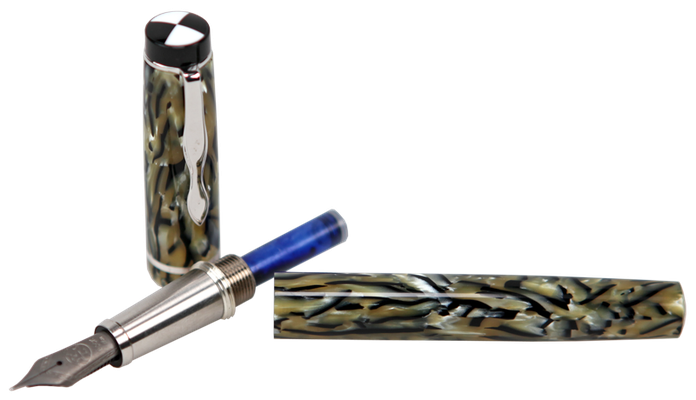 The barrel and cap are made from CA ( Cellulose Acetat ), not really Celluloid but the best matching material to get this nice pattern. 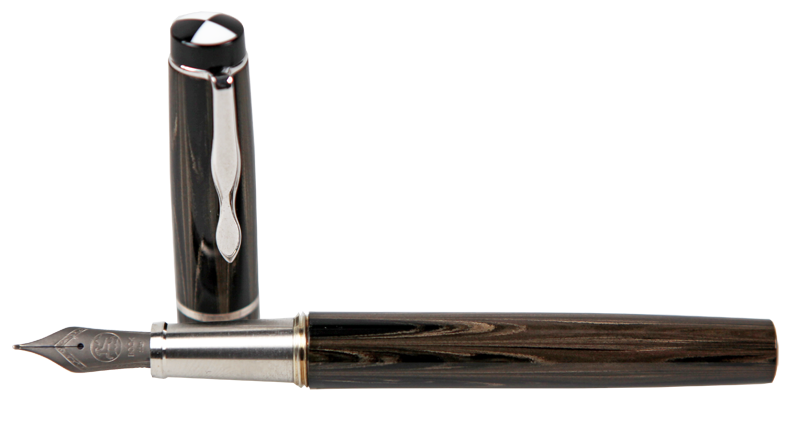 Nibs are available from EF to B, you can tell us your choice within the order form. 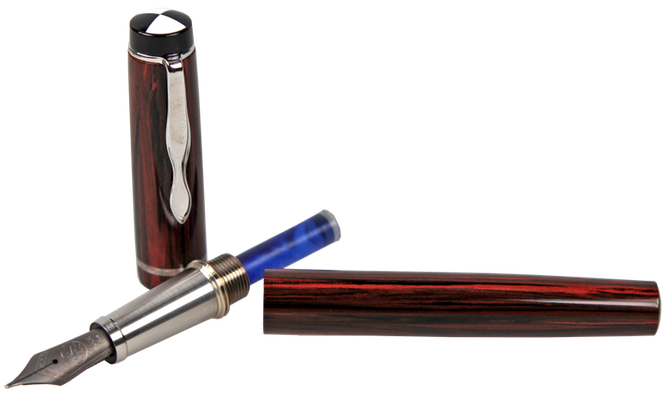 The Astoria cartridge filler made from Ebonite, any normal cartridge should fit to this pen. 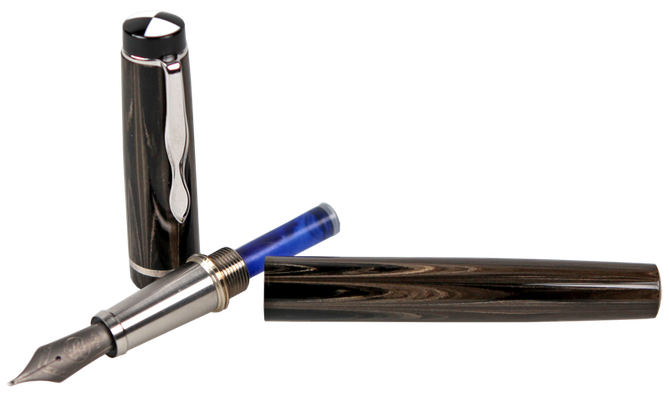 The nib is made from titanium by BOCK Heidelberg and modified by Astoria for a smooth writing. The barrel and cap are made from mottled Ebonite black and brown, to get this nice pattern. 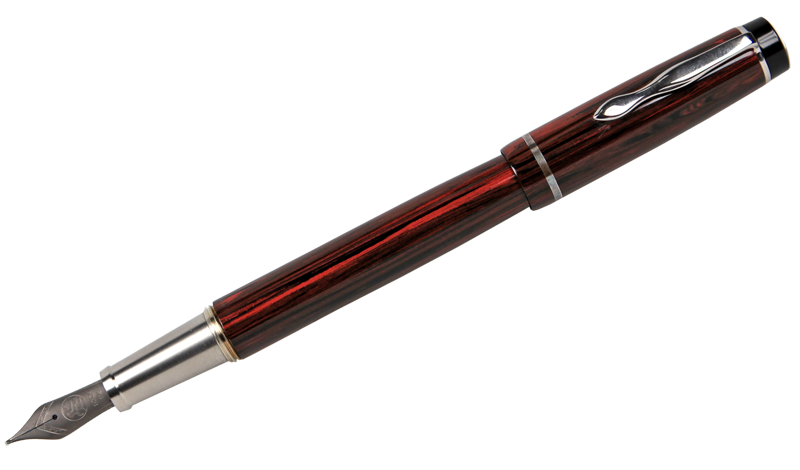 Crartridge filler made from red / black mottled Ebonite, Bock steel nib. 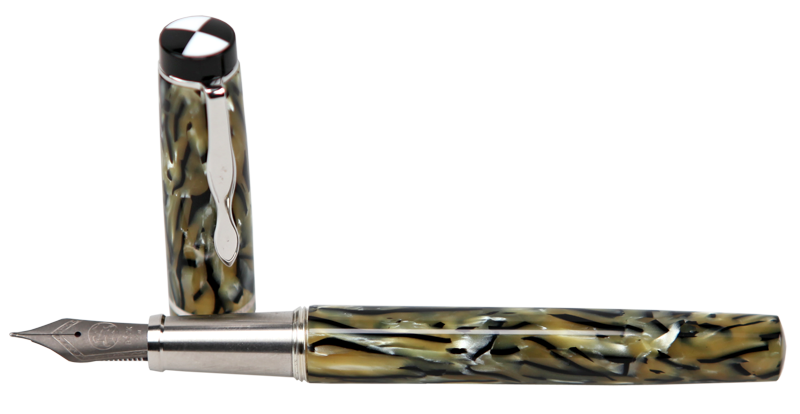 Nib made from titanium or 18 kt gold is also possible on request.